TRM Beta Carotene, Folic Acid & Vitamin E has been formulated for breeders to help condition their mares for the winter breeding season. The contents occur freely in nature but drop below the nutritional requirements during winter. Beta Carotene and vitamin E have been shown to have a positive effect on fertility, while Folic Acid is required in higher demand during pregnancy. 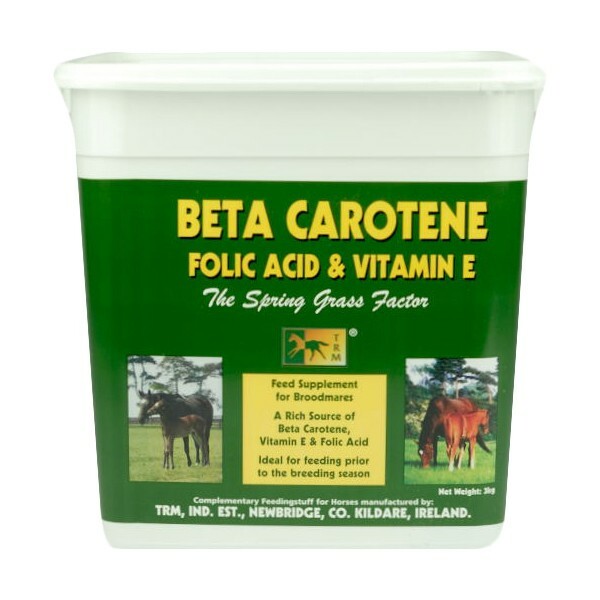 There are currently no questions for TRM Beta Carotene, Folic Acid & Vitamin E for Horses - be the first to ask one!